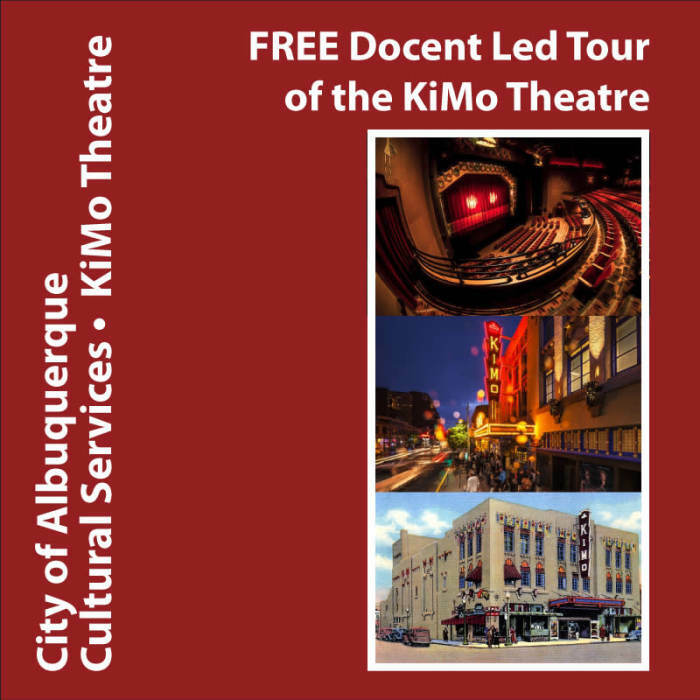 A Pueblo Deco picture palace, the KiMo opened Sept. 19, 1927. It was commissioned by the innovative Oresete Bachechi, who had envisioned a Southwestern style theater for Albuquerque. 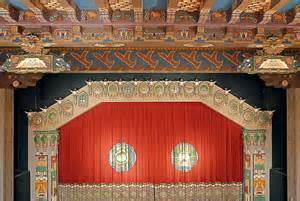 Every detail of the theater contains historical significance, making it one the region's most valued cultural gems. 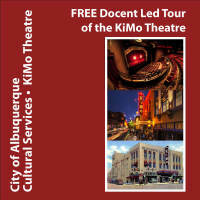 The KiMo offers a variety of entertainment including film, theater, and musical performances.